Where do I find a lawyer in Maryland? Laws in the United States can be complicated at times as, along with federal laws, there are a number of state laws. For this reason, when going through the legal system in Maryland, it is important to have a Maryland lawyer that is family with local and state laws and can best serve your needs in the jurisdiction. Gun control laws are an excellent example of how legislation varies by location. Throughout the entire state of Maryland, assault pistols are banned. No permit is required to possess a shotgun or rifle. Machine guns are allowed, but only on one’s property. Complicating matters further are the municipal and local laws. A person in Baltimore City, for example, is forbidden from carrying firearms with barrels over 14’’ in length. This is a very specific law not found in other parts of the state. Maryland lawyers are familiar with these local laws and can help you if you find yourself in trouble with the law due to state or local laws and have your cases tried in that jurisdiction. Why would I need a Maryland lawyer? As laws vary from state to state, a person that is not sure of the legality of their actions may want to consult a local lawyer. For instance, in difficult custody cases, if the spouse with the child residing in Maryland leaves the state, or a person residing out of state enters Maryland, the other spouse may want to consult with a Maryland lawyer specializing in family law to determine his or her rights and the custodial rights to the child under Maryland law. The Maryland courts system maintains a referral service to advise individuals and refer them to a proper legal representative. A fee of $35 may be involved, but this can by bypasses by filling out and having a waiver approved. Other referral services will direct you to state and local law associations, depending on the county. What are organizations of Maryland lawyers? The Maryland State Bar Association is the primary organization for Maryland lawyers. Membership in the bar association is not mandatory, but bolsters a lawyer’s credentials significantly. The MSBA publishes the Maryland Lawyer’s Manual, which is a comprehensive lawyer and judge directory as well as the Maryland Bar Journal to keep lawyers up-to-date on changes to the law. The MSBA also help private practice Maryland lawyers by assisting with poor professional habits, addiction or poor office management. As with most State Bar Associations, the MSBA sets ethical guidelines and maintains an ethics hotline to dispense advice to lawyers on those matters. For these reasons, membership for lawyers in the bar association and one seeking a Maryland lawyer should consider a member of the MSBA. You may use the MSBA Member Directory to find a Maryland lawyer. There is a multitude of ways to search the database and each entry will contain vital information, such as address, contact information and date admitted to the bar. You can also find Maryland lawyers sorted by specialty, for your specific needs. For law students and other persons in the legal services field, the MSBA offers associate memberships that grant many of the same privileges but none of the voting rights of full members. Associate members may find benefits in networking and job postings provided by the MSBA. How do I know my Maryland lawyer is legitimate? What are the typical rates of a Maryland lawyer? As with all legal practices, fees are usually not set in stone and subject to change with the economic needs of the client. Typical rules apply, such as working on contingency for accident cases, variable fees for complicated cases and flat fees for providing legal services, such as writing documents. Most (but certainly not all) lawyers will offer a free initial consultation to assess the case and determine the possible fees. Here is where fees may be adjusted to suit the needs of the client. -	Domestic cases are on an hourly rate of $200.00 per hour. A retainer is required. -	Criminal Cases - Fee is based on complexity of case. These fees should give a general idea of how much Maryland lawyers charge to perform services. Some lawyerss may have alternate pay plans or different arrangements to pay fees, so it is best to check with the lawyer during the consultation for fee arrangements. What are questions to ask Maryland lawyers? In paternity law, the father is often at a disadvantage, especially when the couple is unmarried and there is no prior parenting agreement between the two spouses. A Maryland paternity lawyer	can assist in these cases by informing a client of his rights under state and local law. In the state of Maryland, paternity can be established through filing an affidavit of paternity with the court. A Maryland paternity lawyer can help you through this process to establish paternity and regain the legal rights of a father over the child. The state of Maryland also provides a process to have paternity claims revoked, which is especially why a Maryland paternity lawyer is necessary when dealing with custody in Maryland. A number of legal associations, including the State Bar Association can link you to a Maryland paternity lawyer for a free consultation. The State of Maryland maintains a system for potential adopting parents to find children in need. This electronic system is called the Maryland Adoption Resource Exchange (MARE) and distinguishes children that are not “legally free.” Not legally free means that the birth parents have yet to relinquish their parent rights, which is where Maryland adoption lawyers can be of service. In some states, not legally free adoption is not allowed, but Maryland is not one of those states. In those situations, a Maryland adoption lawyer is necessary to protect your rights to the adopted child. Maryland adoption lawyers are generally up-to-date on developments to state laws that could help or hurt your custody case and ensure that the adoption is legally sound in the first place. Without the services of a Maryland adoption lawyer, the courts can and if possible, will place the child back with its parents. This is why Maryland adoption lawyers are needed. These lawyers will be able to contest the case and prevent the birth parents from reclaiming rights to their child if they remain unfit to parent. A Maryland adoption lawyer will also be able to formulate legal agreements with the birth parents to give up certain rights, or provisions for the child to meet the parents once he or she reaches a certain age. This is at the discretion of the adopting family and Maryland adoption lawyers can help expedite and decrypt the process to ensure the adopted child remains in a stable home. Exceeding the blood alcohol concentration of .08% is considered driving under the influence and is a violation of Maryland state law, which results in automatic license suspension. A Maryland drunk driving lawyer can explain your rights, possible penalties for the infraction and even help you challenge the charges in court. When meeting with a drunk driving lawyer in Maryland, bring all information that can help or potentially hurt your case, including the ticket, results of breathalyzer tests and your account of the police stop and subsequent actions. Some Maryland drunk driving lawyers will provide forms and worksheets that document type, location and time of alcohol consumed to prepare a possible defense. In the event that you are irrefutably driving under in the influence in the state of Maryland, the Maryland drunk driving lawyer can help reduce the penalties and possible suspension of your license. State law provides for up to $1,000 fine for the first offense as well as other penalties, including jail time and revocation of license. When taking your case to court, a Maryland drunk driving lawyer is a necessity and you should consult with a lawyer immediately after the incident occurs. After a divorce in the state of Maryland, alimony is determined with consideration to the duration of the marriage, earning capacities of the parties, standard of living prior to divorce and potential for future earnings. Depending on the spouse, a Maryland spousal support lawyer can help adjust the balance of payments in their favor. For spouses that must pay alimony, the Maryland spousal support lawyer will looks for factors to lessen the amount of spousal support, or dictate how it is spent, so it best supports any children the couple had prior to divorce. For a spouse seeking spousal support, a Maryland spousal support lawyer will be able to fight on your behalf, in court, to adjust the balance of payments accordingly. The Maryland spousal support lawyer in this case will use the aforementioned considerations for the earning potential of the other spouse to obtain the best possible spousal support. Most Maryland spousal support lawyers will offer free consultations, so individuals in court are strongly urged to consider hiring an attorney. There are many ways by which an individual may find lawyers in Maryland. You may use this website’s search function to find a lawyer in Maryland. Additionally, you may use the Maryland Bar Association’s directory to find a lawyer. Maryland Bar Association membership is not mandatory, but membership is customary for legal professionals and provides a number of benefits to members. 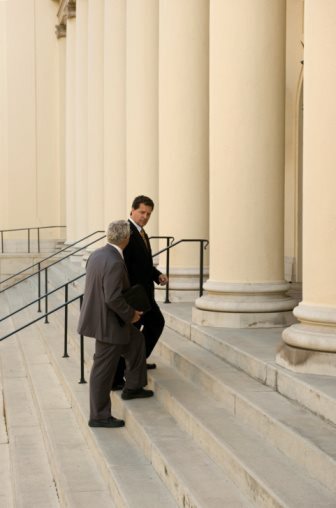 When going to court in Maryland, it is important to have a lawyer in Maryland that is aware and practiced in specific state and local laws, so that you may receive the best possible legal advice from an individual knowledgeable in the law. Like other parts of the country, lawyers in Maryland usually offer free consultations and work on contingency for accident and negligence cases. For all other cases, expect lawyers in Maryland to charge standard hourly and flat rates for providing legal services. General practice lawyers in Maryland are common but there are also fair numbers of specialists that can deal with more complicated or narrow aspects of the law. State and judicial directors will usually show these distinctions, for the benefit of the client.